Many guests who travel to Walt Disney World year round anticipate warm temperatures, strong Florida sun, and high humidity. While there are plenty of beautiful weather days in Central Florida, some times of the year are prone to rainy days or heavy afternoon thunderstorms. Some guests might think that rain can ruin a day in the Disney Parks, but on the contrary it can make any day even more amazing! Rainy days tend to result in many guests either staying at their Disney Resorts or enjoying other indoor activities such as a movie at Disney Springs. This leaves the parks rather empty and perfect for exploring with fewer crowds and lower wait times. 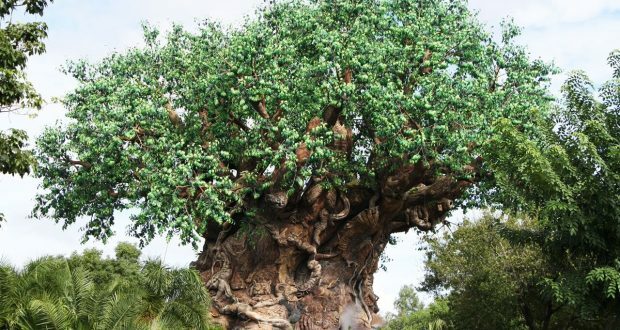 Disney’s Animal Kingdom invites guests to explore the beauty and diversity of nature through many experiences that range from family friendly to thrilling. While many of these experiences are outdoors, there are also plenty of other things to do in the park that are absolutely perfect for rainy days. From beautiful indoor shows and musicals to other experiences that might require a poncho, there is plenty to do in the park on a rainy day. Here are the top 10 rainy day experiences at Walt Disney World’s Disney’s Animal Kingdom.